Once again, President Trump has taken a stand for Israel and the Jewish people. Democrats won’t like the move. The mainstream media will most likely hate it even more. Somehow, some way, Trump will probably still be able to sleep at night – especially considering he’s doing the right thing. Prime Minister Benjamin Netanyahu spoke this evening with @POTUS Donald Trump and thanked him for the decision to recognize the Golan Heights. Prime Minister Netanyahu told US President Trump: "You made history." White House press secretary Sarah Sanders announced on Wednesday that Netanyahu and Trump will hold a working meeting in the White House on Monday, followed by a dinner on Tuesday evening. 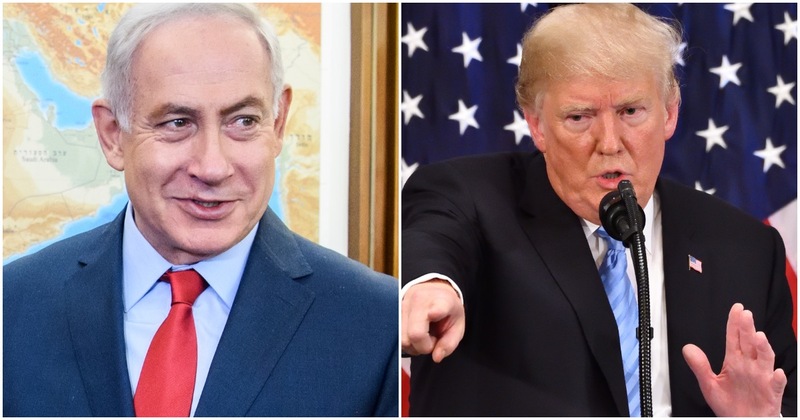 The Trump decision to recognize the Golan now gives Netanyahu a significant boost before the election, but will also also trigger criticism that the US president is blatantly meddling in the Israeli elections. I applaud @realDonaldTrump for taking the long overdue step of recognizing Israel’s sovereignty over the Golan Heights. It’s an enormously important signal that we stand with our allies and against our enemies, and will be heard by both. Agreed! Israel cannot be secure without the Golan. U.S. recognition of Israeli sovereignty over the Golan acknowledges this strategic reality & the facts on the ground. Now I, along with Senator @tedcruz, will try to get Congress to follow your lead. The Golan was used by Syria in 2 wars of aggression against Israel. Additionally Syria’s Assad, Iran, & Hezbollah need to pay a price for dismembering Syria. To return the Golan Heights to Syria would be to reward aggression and put the Jewish State at perpetual risk. Additionally Syria's Assad, Iran, & Hezbollah need to pay a price for dismembering Syria. I hope and believe there is widespread bipartisan support for this proposal. Congressional passage would reinforce President @realDonaldTrump’s decision as United States policy. Congressional passage would reinforce President @realDonaldTrump's decision as United States policy. Freshman Democrat Rep. Ilhan Omar (D-MN) has been known for making anti-Semitic remarks in the past. She’s given a pass by the mainstream media due to her political affiliation. She also compares the Jewish state to Iran. Iran!? In 2016, Omar was elected to Congress. That year, nine Minnesota men were charged with plotting to join ISIS. The 9 Minnesota men charged with planning to join ISIS are scheduled to be sentenced next week. Ahead of those court dates, 13 letters were sent to Judge Michael Davis in the case of defendant Abdirahman Yasin Daud, including a letter from state Rep. Ilhan Omar, who on Election Night became with first elected Somali-American lawmaker in the nation. She may not have imagined she’d one day be elected to Congress, forced to answer for her words.